Posted on June 14, 2014 by amanabduhu	in 1971, Rights, Society and tagged 1971, Featured, pakistan, Slide, violence. ঢাকার বিহারী পল্লীতে যুবলীগ নেতাদের নেতৃত্বে উম্মত্ত জনতা আগুনে পুড়িয়ে আর পুলিশ গুলি করে এগারো জন মানুষকে মেরেছে। বেশিরভাগ শিশু আর নারী। শবে বরাতের রাতে আতশবাজি জ্বালানোর মতো তুচ্ছ ঘটনা নিয়ে। এবং তারপর বীর বাঙালী মুক্তিযুদ্ধের চেতনায় উল্লাসে ফেটে পড়ছে। পাকিস্তানের বিরুদ্ধে ক্রিকেট খেলায় জিতে আবার মুক্তিযুদ্ধ জয়ের মতো অর্বাচীন সে উল্লাস। সবার সে কি আনন্দ। নিজের অপরাধবোধ আর পশুবৃত্তিকে ঢেকে রাখার কি নিদারুণ চেষ্টা। বিহারী মারলে অসুবিধা নেই। বরং ভালো হয়েছে। এরা স্বাধীনতার শত্রুদের বংশ। এগুলোকে এভাবেই মারা দরকার!! কোন একজন মানুষও কি মনে করেন, এ ঘটনার কোন বিচার হবে? এভাবে নারী আর শিশুদেরকে পুড়িয়ে মারলো যারা, তারা শাস্তি পাবে? পাকিস্তান ক্রিকেট দলকে সমর্থন দেয়া আসলেই কি অযৌতিক বা অনুচিত? Posted on April 27, 2014 by nuraldeenblog	in Sports and tagged Bangladesh, Featured, pakistan, Slide. কয়েক বছর আগে রাহিন রায়হান নামের এক ব্লগার (সম্পর্কে আমার বিশ্ব সাহিত্যকেন্দের ছোট ভাই) প্রথম আলো ব্লগে লিখেছিলেন, “একালের নব্য যুদ্ধাপরাধীআবার কারা?আমি আসলে আমাদের তরুণ সমাজের সেই অংশটার কথা বলছি যারা নিজ দেশেরইতিহাস-ঐতিহ্য এবং মহান মুক্তিযুদ্ধের চেতনা সম্পর্কে উদাসীন।দেশের তরুণসমাজের বড় একটা অংশ কিন্তু এদের অন্তর্ভুক্ত।পাকিস্তানের খেলা হলে তাদেরগ্যালারীতে দেখা যায় পাকিস্তানের পতাকা নিয়ে উল্লাস করতে।তাদের গালে আঁকাথাকে পাকিস্তানের পতাকা।এবং হয়ত বুকেও। এমনকি বাংলাদেশের সাথে খেলা হলেওএরা অনেকেই প্রকাশ্যে এবং অনেকেই মনে মনে পাকিস্তানের শুভকামনা করেথাকে।বাংলাদেশ পাকিস্তানের কাছে হারলে ফেসবুকে স্ট্যাটাস দেয় “yahooooo Pakistan jitse.shabash Pakistan!!!!!!!!”. তখন বাকরুদ্ধ হয়ে যাই।অবাকহয়ে ভাবি এরা কি আসলে বাংলাদেশি?এদের যুক্তি পাকিস্তানের প্লেয়াররাতো আর১৯৭১ এর জেনোসাইডে অংশ নেয়নি।তো তাদের সমর্থন করলে দোষ কোথায়? কাজেই পাকিস্তান ক্রিকেট দলের বাংলাদেশী সমর্থকদের ছাগল প্রমাণ করতে গিয়ে লেখক নিজেই যে একটা ছাগল সেটাই কি প্রমাণ করলেননা? এখানে বলে রাখা ভাল যে, বাংলাদেশ ক্রিকেট দল বড় কোন টুর্নামেন্টে ভালো করতেপারে না দেখেই কিন্তু মানুষ বাংলাদেশ বাদেও পাকিস্তান বা ভারতকে অনেকটাবাধ্য হয়েই সাপোর্ট করে। কারণ, তাদের শিরোপা জয়ের সামর্থ্য আছে, যেটাবাংলাদেশ দলের নেই। আর বাংলা ভাষাভাষী অন্য ধর্মের অন্য কোন দেশও তোসেমি-ফাইনাল বা ফাইনাল ম্যাচে পাকিস্তানের সাথে সাথে খেলে না যে বাংলাদেশেরমানুষ সেই দেশকে সমর্থন করবে। তাই, এখানে মুসলমান থেকে বাঙালি হতে পারলামনা’—সেই কথা বলাটাও বোকামি। আর এখানে প্রশ্ন রাখতে হয় যে, বাঙ্গালী হলে কিএকটা মুসলিম দেশ ভাল খেললে তাকে সাপোর্ট দেয়া যাবেনা? এখন, উগ্র জাতীয়তাবাদী ছোট ভাই রাহিন রায়হানের বক্তব্য অনুযায়ী আমার আরেকছোট ভাই সবুজতো তাহলে একজন ‘নব্য রাজাকার’। একজন ‘নব্য রাজাকার’-এরবাংলাদেশের পরাজয়ে বুকে ছুরির আঘাত পাওয়ার মত ব্যাথা হয়! ভালো তো, ভালো না? সবুজের মত মানুষকে নব্য রাজাকার ট্যাগ দিতে গেলে বিশেষ পরিমাণেনিচুমনমানসিকতার মানুষ হতে হবে। রাহিন রায়হানের মত মানুষদের নিজেকে প্রশ্ন করাউচিত, আসলে তার নিজের মনমানসিকতা কোন পর্যায়ের…! ৭১’ সালে পাকিস্তানের বর্বর ভূমিকার কথা সবাই জানে। পাকিস্তান বাংলাদেশেরকাছে আনুষ্ঠানিকভাবে সেজন্য ক্ষমা চায়নি, এটাও সত্য। কিন্তু, বাংলাদেশেসরকার তো অনেক আগেই পাকিস্তানের সাথে কূটনৈতিক ও দ্বিপাক্ষিয় সম্পর্ক বজায়রেখেছে। সেটা যদি করা যায়, তাহলে ক্রিকেট ম্যাচে পাকিস্তানকে সমর্থন করাঅনৈতিক বা অনুচিত হবে কেন? পরিশিষ্টঃ যারা পাকিস্তান ক্রিকেট দলকে সমর্থনের বিরোধিতা করছেন, তারা আশাকরি পাকিস্তানের সাথে সবরকম কূটনৈতিক সম্পর্ক বজায় রাখার বিরোধিতাও করবেন ।সার্কের সদস্য হিসেবে পাকিস্তান যদি আঞ্চলিক উন্নয়নে একটা ভাল পরামর্শদেয়, আর বাংলাদেশ তাকে সমর্থন করে, তাহলেওতো (কিছু উগ্র জাতীয়তাবাদীরচোখে) একাত্তরের চেতনার অবমাননা হবে, তাই নয় কি…? 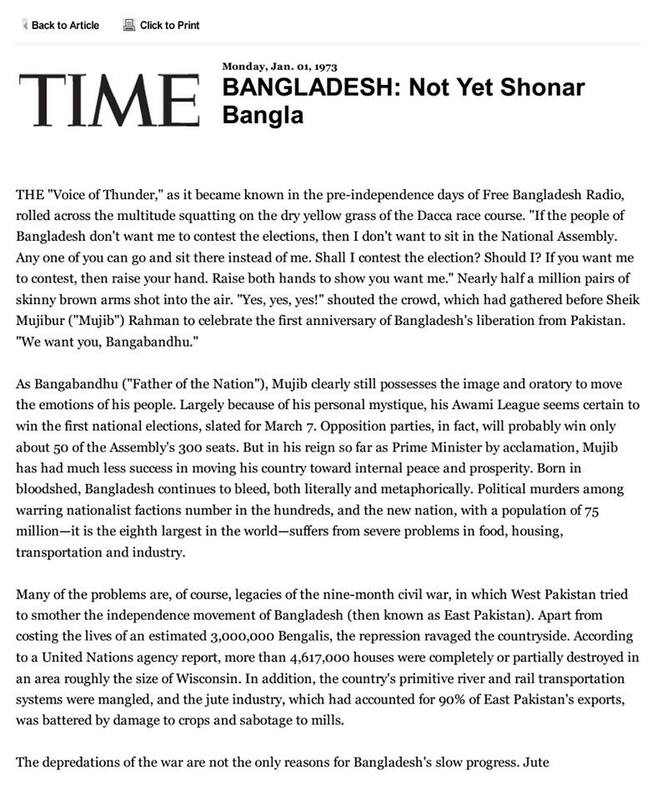 Posted on January 19, 2014 by jrahman	in Awami League, BNP and tagged Bangladesh, Constitution, democracy, election 2013-14, English, Featured, pakistan, Slide. But democracy has failed to take root in either, with military interventions or threats thereof, remaining a constant feature. In both countries, electoral democracy has meant two mutually antagonistic parties/coalitions who differ little on policy, but much on personality and the thirst for power over patronage and privilege. Both countries have experienced increasing religious extremism. More recently, in both countries, judiciary and media are experimenting with new found powers, not always to the best effect. Throw in the political economy of NGO-led development in Bangladesh, or the misfortune of being next to a theatre of the Great Game for Pakistan, and it’s easier to see why democracy may have had such a hard time in these countries. Indeed, with increasing NGO activities in Pakistan and the Great Game coming to Myanmar — a theatre closer to Bangladesh — both countries have much to learn from each other’s misfortunes. 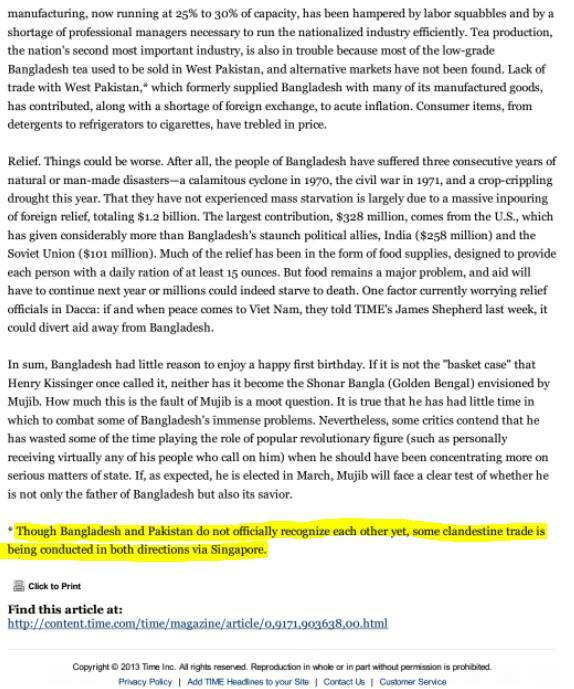 Of course, in Bangladesh, the discourse around Pakistan is so full of vitriolic jingoism that any suggestion of learning something from the Pakistani experience is likely to be met with scorn. But even outside Bangladesh, there is not much by way of comparative studies of Bangladesh and Pakistan. William B Milam’s Bangladesh and Pakistan: flirting with failure in South Asia is a rare exception. This slender —276 pages including reference and index —volume begins with a brief history of the erstwhile united Pakistan, and then tracks the military-civilian back-and-forth in the two countries up to 2008. The author, a former American Ambassador to both countries, can bring unique perspective to the subject matter. And the book’s conclusion —the tipping points between real democracy and more of the same in Bangladesh and Pakistan are yet to be reached—is something one can hardly quibble with. One does not read a retired career diplomat for facts and figures. And this book is not full of facts and figures. However, one might expect a lot of interesting anecdotes from someone who served in Bangladesh as the Ershad regime ended and in Pakistan when the Musharraf regime started. Sadly, Milam does not give us such tidbits. Instead, he opens up a range of questions that could be, ought to be, explored in depth. Truth be told, it’s a tad disappointing that Milam does not push any of these issues further. But then again, at least Milam has written a book. Surely there are others who can add to the literature. What are these questions? One is about the role of India in the two country’s politics. Another is Islam. I am going to skirt over these two, not because they are unimportant, but because these are fairly well trodden grounds. Instead, let me pick up the issue of military involvement, and withdrawal, from politics in the two countries. From the vantage point of December 1971, one might have expected some form of military involvement in Bangladeshi politics. The nucleus of the Bangladesh army was the victorious Mukti Bahini, and its commanders like Ziaur Rahman might have expected some say in the new country’s affairs — historically, states founded by guns tend to give armed men some (if not all) power. However, it should have been a different matter in what was left of Pakistan. If there was a state where the army rule, directly or otherwise, should have been thoroughly repudiated, it should have been Pakistan after December 1971. Army rule had lost half the country. A quarter of the army itself was taken prisoner-of-war by the ‘hated enemy’. The country was bankrupt, with its major port severely damaged. The idea that generals could save Pakistan should have died in the swamps of Bengal. ZA Bhutto used the army to silence legitimate dissent in Balochistan. And then, in 1977, he tried to rig an election that he might have won anyway, resulting in months of street violence and political gridlock, which paved the way for Gen Zia-ul-Huq’s grim rule. That’s the most straightforward reading of things. Writers as diverse as Tariq Ali or Anatol Lieven agree that Mr Bhutto deserves to be blamed, if not solely or in whole measure, then at least substantially, for the remilitarisation in Pakistan. So, the question then is, was Pakistan just unlucky to have Bhutto, or was there something about Pakistan that made his power grabs more likely? Let’s look at the issue from a different perspective. Milam ends his book with the observation that the prospect of democracy, indeed the very survival of the state, was bleaker in Pakistan than Bangladesh. As of 2008, Bangladesh army —not formally in charge in the first place — was in the process of handing over power to a democratically elected government. In Pakistan, on the other hand, there was a shaky coalition facing jihadi violence, with everyone assuming that it was the clean-shaved general and not the mustached civilian who had the ultimate power. As of 2008, hardly anyone doubted that the incoming Awami League government would finish its five year term. After all, three previous elected governments had finished their full terms, something no elected government (with possible exception of Mr Bhutto, depends on how one sees things) in Pakistan had done until then. In Pakistan, at the time, hardly anyone expected Asif Ali Zardari to finish his term peacefully and hold an election in five years’ time. As it happens, the Awami League did finish its five year term, and has just elected itself —not sure how else to put it politely —for another five years. But surprising everyone, Mr Zardari also lasted five years in office, as did the Pakistani parliament that was elected in 2008. For the first time in Pakistan’s history, a democratically elected civilian government handed over power to another such government last year. So, did Pakistan get lucky with Zardari (or Nawaz Sharif, or Gen Ashfaq Kayani)? Or did something about Pakistan change between the 1970s, or even the 1990s, to now? Bangladesh army has shown little interest in running the country in recent years. Had it wanted to, there were many occasions in the past year where the army could have toppled the government, with a large section of the civil society and opinionmaking class fully cheering on any coup. But by all accounts, the army has chosen to remain out of politics. Even its 2007 not-quite-formally-a-coup was at best a half-hearted affair, with full insistence of constitutional fig leaves, no matter how muslin-thin the leaves might have been. What had changed about Bangladesh army from its coup-prone past? Why do armies intervene, or not intervene? Let’s go through a few conjectures. At the simplest level, perhaps it’s all about the base, corporate interest. Pay them well, and the armies will be happily in the barracks? This may well be a major story in Bangladesh. After all, dal-bhaat grievances were a major (though by no means the only) factor in soldiers’ mutinies of 1975 and 2009. However, considering the lavishes spent on the forces by the current government, money should not matter for any would be Bangladeshi coupmaker. And to the extent that no one —not even Bhutto le pere—tried to clip the army’s economic interests in Pakistan, it’s hard to argue that this has been a deciding factor there. Perhaps the story is a bit more highbrow? As is widely accepted, Pakistan army sees itself as the ultimate arbiter of that country’s foreign and defense policies, particularly when it comes to relations with India. As long as these domains are untouched, perhaps the generals are content to let the civilians govern. 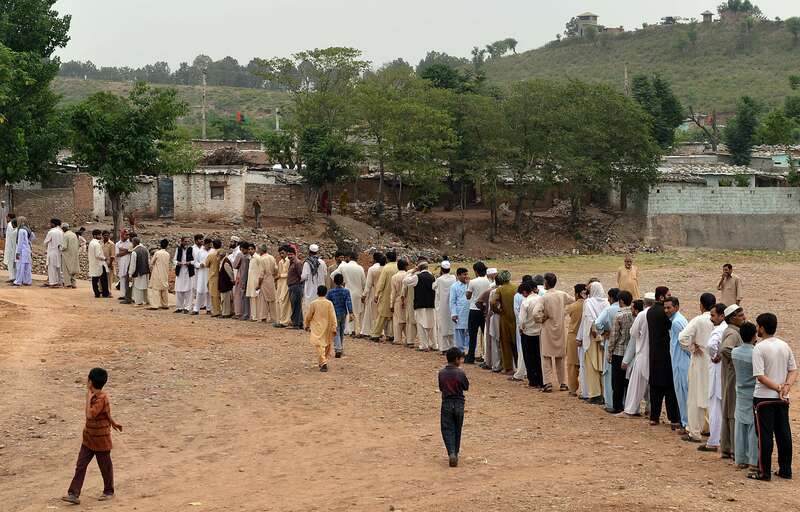 In that respect, perhaps Pakistan army is similar to the ‘guardian’ armies of Turkey or various Arab republics or Thailand, where the army decides, for whatever historical reasons, that certain areas are no-go for civilian politicians, and they enforce the no‑go-zones through coups if necessary. Does Bangladesh army see itself in such a guardian role? When a crisis hits, does it see its role as the national saviour? In the blood-soaked 1970s, individual officers saw themselves as potential national heroes—call it the curse of the majors. But from the 1980s onwards, as a collective, perhaps Bangladesh army waits for orders rather than marching to their own bit? After all, in February 2009, the entire brass held fire and waited for orders that never came. Of course, this is exactly how it should be. Armies are meant to be guards, not guardians. On balance, it’s a good thing that the army has not intervened during Bangladesh’s latest political drama. But can that remain the case indefinitely? After all, it was Bhutto’s hubris that allowed Zia’s power grab in 1977. Could something like that happen yet again? Even if it doesn’t, it’s important to understand that military rule is not the only obstacle to democracy in Bangladesh and Pakistan —a theme that runs through Milam’s book, and one that needs to be explored further. After all, it was Mr Bhutto who opened the door for the generals to march back in. So, the question again, was Pakistan unlucky with Mr Bhutto, or was there something about Pakistan? And more recently, did it get lucky with Messrs Zardari and Sharif, or has something changed there? Here is another conjecture —for all their personal genius, foibles and shortcomings, it wasn’t the individuals, rather, something did change in Pakistan between the time of Bhutto and Zardari. In the intervening years, multiple centres of power —not just the army-bureaucracy and a towering politician, but also political parties representing different provinces and ethnicities and constituencies, as well as media, judiciary and other civil society organisations —developed in Pakistan. While this fragmentation of authority may hamper its policy deliberations, it probably has driven home to Pakistani politicians the need to coexist and tolerate each other. Papa Bhutto stood above everyone, and couldn’t countenance anyone else’s existence. Sharif brothers had learnt to live with others. Perhaps that’s what has saved Pakistan, at least for now. This is what Milam says in the penultimate page: Perhaps there is more hope that a real, sustainable democratic culture can develop in Bangladesh, but old habits die hard. …a government which, because of the perverted institutions of the state, is in a position to eliminate the opposition as a force to be reckoned with, and move towards a one-party state. This election, instead of deja vu all over again, could be the tipping point to something entirely new on the subcontinent. 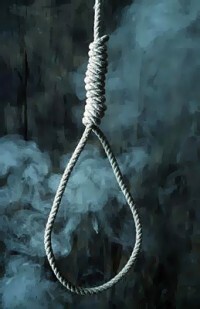 Bangladesh may well have come a full circle in the past four and half decades. At the beginning of the 1970s, with the left fractious and the right discredited for its role in the country’s freedom struggle, Awami League was the only major organised political force in Bangladesh. Whatever we have, it’s not democracy. 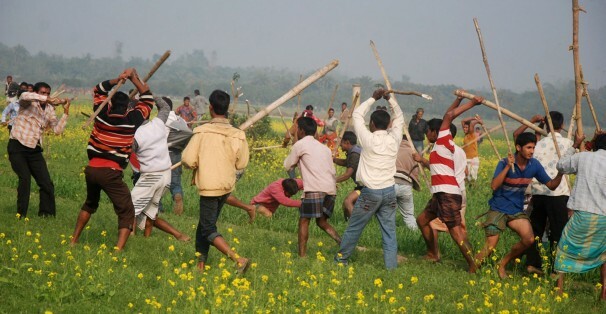 But politics aside, it is 2014 in Bangladesh. The chronic instability and near-anarchy, as well as the abject poverty that prevailed in 1975, have long since disappeared. Bangladesh, while still poor and in the stage of economic development where gains can easily be reversed, is now wired into the global economy with its vibrant garment and other export industries. Growth has been strong for most of the past two decades, and the country as a whole is much more prosperous. More importantly, it has a much more literate and healthy population because of the strides that have been made in mass education and in reducing gender disparity. In Shame, his novel on not-quite-Pakistan, Rushdie calls the country Peccavistan. Peccavi in Latin means I have sinned. This is the message Sind’s English conqueror sent back to the John Company after he took the country by deception and ‘rascality’. Pakistan used to be governed by deception and rascality, hence the name Peccavistan. When the results of Pakistan’s first general election became known 37 years ago, a western journalist quipped that Pakistan would soon be replaced by Mujibdesh and Bhuttostan. As things stand, we should rename our country East Peccavistan. And things will remain as they are unless we choose democratic politics. Make no mistake, that’s hard work. But that’s what it comes down to. A bird cannot fly with broken wings. Our democracy is broken. People governing the country are doing so not with democratic mandate. Choosing democracy means opposing this deception and rascality. Only by joining and fixing the opposition, so that when the table turns it lives and lets live, can we end East Peccavistan. Dear reader, the choice is yours, will you choose Bangladesh? Posted on December 24, 2013 by aniksays	in History and tagged Featured, mujib, pakistan, sheikh, Slider. TAKES VERY FRIENDLY LINE TOWARDS BHUTTO AND PAKISTAN. 3. ALSO: “I AM IMPRESSED BY MR. BHUTTO’S SINCERITY. 5. MUJIB REFUSED TO DISCUSS THE QUESTION OF KASHMIR. NOT INTERFERED IN BANGLADESH AFFAIRS AND VICE-VERSA.